Amongst the places of deep belief and faith in India, falls Shani-shinganapur� the place of god shani dev. The devotees and followers of god shani dev are spread all over the world and hence the place has attained importance. A small village in Ahmedanagar district near nawasa known Shani-shinganapur,has acquired a lot of fame & followers for god shani dev. 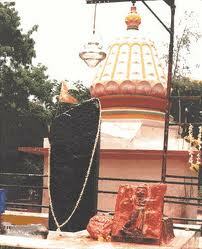 Shani-shinganapur is located approximately 246 Kilometers from Mumbai (Bombay) City in India. The nearest railway station is Kopargaon 15 kilometers on Manmad-Daund section of Central Railways.